Many businesses are seasonal and a good number of those rely on the winter holiday season for a significant chunk of their sales and profits for the year. 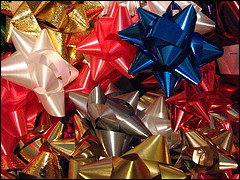 Even mundane and unexciting things are likely to be on someone's wish list and people are not only shopping for gifts, but they are also looking for party attire, specialty foods and drinks, new furnishings and decorations, and personal and home spruce-up services like botox injections and carpet cleaning. 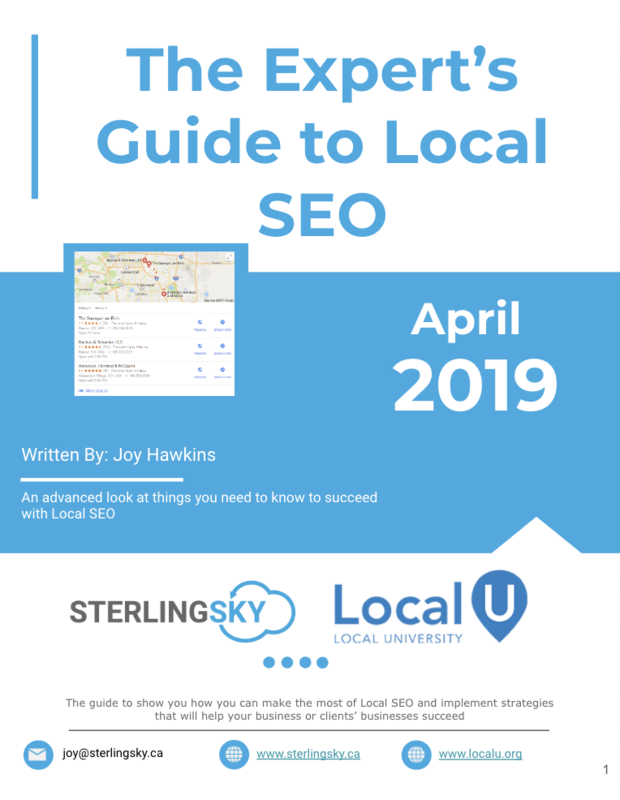 But all too often, businesses don't think or plan far enough in advance to properly execute the search engine optimization that can help them boost the impact of their website on online and offline sales. So if you plan to put new web content to work for you for the gift giving season, now is the time to getting moving on it. It takes time for the search engines to find new pages on a website. Then, the pages must be crawled and indexed. 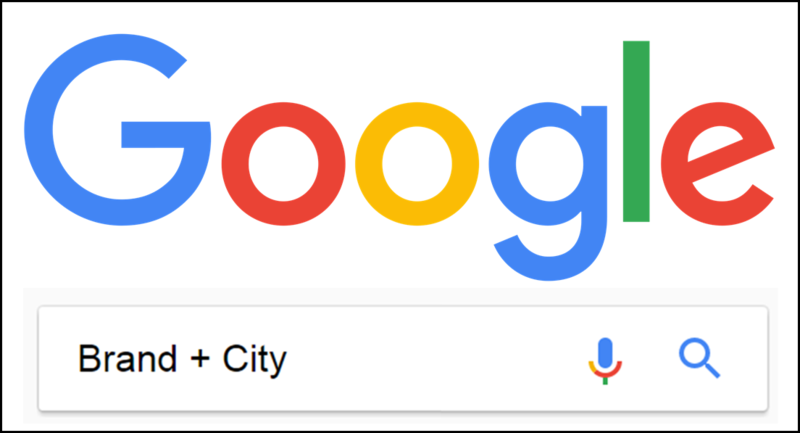 Those pages also need to gain some decent internal and external links if they are expected to rank for their focus keyword phrases and those links must be found and crawled, as well. Most of us need at least 3-4 months to make this happen. Begin by determining what shoppers in your area might be searching for leading up to the holidays that relates to your business. Gifts, gift certificates, Christmas gifts, wish list, gift cards, shopping, presents and related words are universal terms to pair with your target phrases when doing your keyword research. Use Google' s free tools, Keyword Planner and Trends, for ideas for new content for your web site. Each of them can help you to see how popular particular terms are in your own local area. Google Trends can also show you seasonal trends and related terms that are rising in search volume. 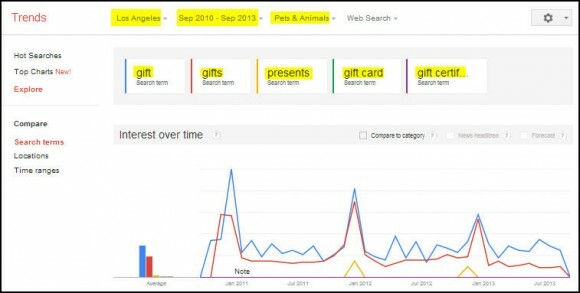 Here's an example of a Google Trends comparison for the terms gift, gifts, gift certificates, gift cards and presents in the category Pets and Animals in the Los Angeles, California area over the past three years. As you can see, search volume spikes in the weeks before Christmas. So having new, well-optimized pages on your site that rank for pet gift, dog gifts or similar terms could get your gift ideas in front of many shoppers right at the time when they are ready and anxious to buy. Some purchases - things like computers, appliances and travel experiences, for example - require more consideration and shopping time than others. In these cases, you need people to become aware of your offerings when they are first beginning to research their options or they may never consider you, so it's best to have your web pages ranking for the desired terms well before that pre-Christmas search spike occurs. Once you have pages ranking for appropriate gift or holiday terms, be certain to leave them up on your website year round. You don't want to have to start over every year trying to create, optimize and rank new pages. It's okay to have a Christmas Gifts for Cat Lovers page, for example, live on your site all the time. However, it shouldn't be as prominent in the off season as it is from October to December. Also keep in mind that many people receive money as gifts and plenty of them will be spending it in the weeks after Christmas. So if you offer any products or services that can drive customers to your business during the holiday season, make sure your web site is prepared well in advance to help you to market to them via search. Excellent information Mary. I usually cannot even think about Christmas until after Thanksgiving. But this gets me thinking! thank you for sharing.